It doesn’t seem like that long ago that our only choice of hybrid vehicles were the Honda Insight and the Toyota Prius. It’s amazing how fast things can change. Now, we’re offered a slew of hybrid vehicles; luxury sedans, coupes, hatchbacks, compacts, even hybrid sports cars. One has to wonder how long it’s going to be before the hybrid craze catches on in the motorcycle and ATV industries. For now, however, we’ll concentrate on the best hybrid cars of the 2011 model year; we’ll let time tell us about the rest. As always, we gather our information from only the most trusted automotive resources: Car and Driver, Consumer Reports, Edmunds, and Motor Trend. 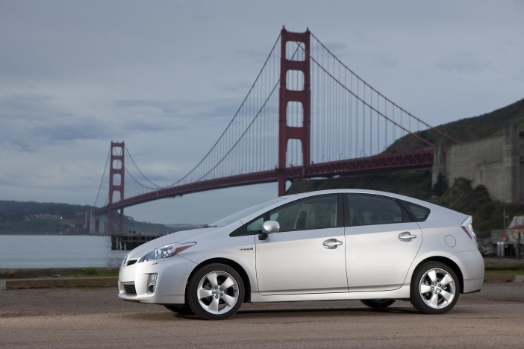 As far as fuel efficiency goes, one of the original innovators of the hybrid sedan is still leading the way. The Prius uses a 1.8L four-cylinder engine and two electric motors/generators to send power through a continuously variable transmission and garner 51/48 mpg (city/highway) in fuel economy. That’s not all it possesses though. It also comes equipped with a very silent insulated ride, four different driving modes, and some of the best versatility available. The cabin is far from luxurious, but it offers plenty of space and a decent design. The price tag is also one of the best you’ll find in the hybrid category. In terms of luxury, Mercedes is definitely leading the way in the hybrid field, but you’re going to need deep pockets to pay for it. 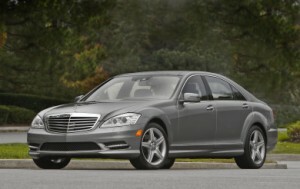 The S-class features a mild hybrid system, so fuel efficiency may not be quite what you’d expect from a hybrid vehicle (19/25 mpg), but it has no shortage of power (295 horsepower and 284 lb-ft. of torque) and is the absolute top in terms of a premium luxury sedan. The Premium II package looks like something that would only be featured on the Queen of England’s limousine. The suspension is cloud-like, steering is firm, and the trunk can accommodate up to 16.2 cubic feet of cargo. Whether the Cayenne Hybrid can be classified as a “car” is debatable, but it is definitely not short on power with its supercharged 3.0L V6 engine and 34-kilowatt electric motor combining for 380 horsepower and 427 lb-ft. of torque. It will travel from zero to 60 mph in an estimated 6.1 seconds. With it bearing the body resemblance to a crossover SUV (which is what it’s technically classified as, though its sleek design and driving manners make it more sedan-like), maximum cargo space can reach 59.7 cubic feet. Steering is precise and body roll is nicely contained (typical for any Porsche), and the list of options is commensurate with many luxury vehicles. “The 2011 Ford Fusion Hybrid is proof that driving enjoyment, supreme fuel-efficiency and affordability in a midsize sedan needn’t be mutually exclusive.” (www.edmunds.com) Fuel economy numbers run a close second to the Prius at 41/36 mpg, and the interior is a vast improvement over previous-year Fusions. 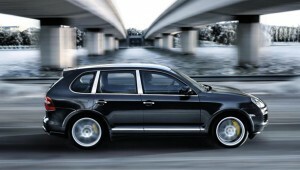 It features plenty of room for rear passengers, and the driver will appreciate the comfortable positioning of the seat. Next to the Hyundai Sonata Hybrid, the Fusion is the most engaging hybrid sedan to drive. Its one drawback is the mediocre cargo capacity of 11.8 cubic feet, but that’s never been the staple of hybrid vehicles to begin with.